Managed to work another Australian station (VK6WB in Perth, Australia) tonight on 20m PSK using just 35W. According to qrz.com, it’s 18525.7 km away. That’s 1.9 mW/km! I had to do a double take and wait until he called a couple times to make sure fldigi was decoding it properly. He was as loud as most of the other US stations on the waterfall. 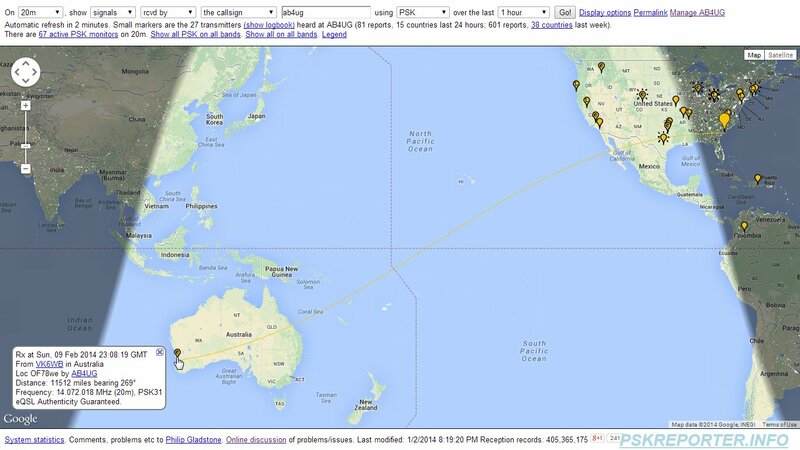 This breaks my previous record for QSO distance (with VK3TDX) by a few thousand km. Really loving this hobby now.